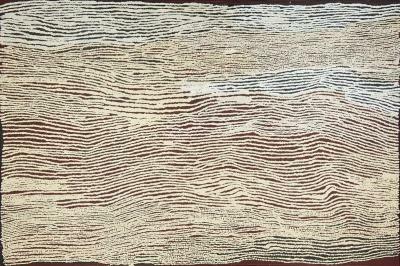 This design represents the most important geographical feature of the Western Deserts (Great Sandy Desert, Gibson Desert, Little Sandy Desert), being the east/west parallel sand dunes which can run unbroken for hundreds of kilometres and in places attaining heights of 30 metres. 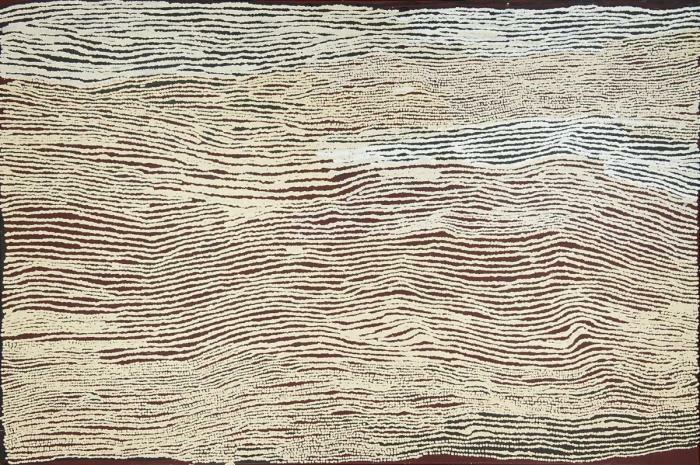 The representation of landforms is associated with the physical and spiritual connection to the earth and can be seen in decoration such as body scarifying, ground designs and incised wooden implements. 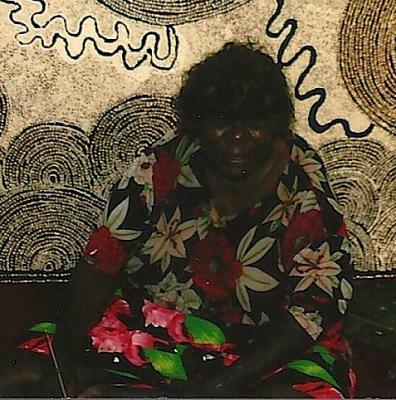 Esther Giles Nampitjinpa was born circa 1948 at Yumara, in Western Australia. She grew up living the nomadic lifestyle with her tribe in the desert. Her first lesson in life on the frontier between two cultures was a violent one. As a young girl, her warrior father was shot by a white man in an unprovoked attack, and his body was strung up in a tree. This event exemplefies the hardships . . .